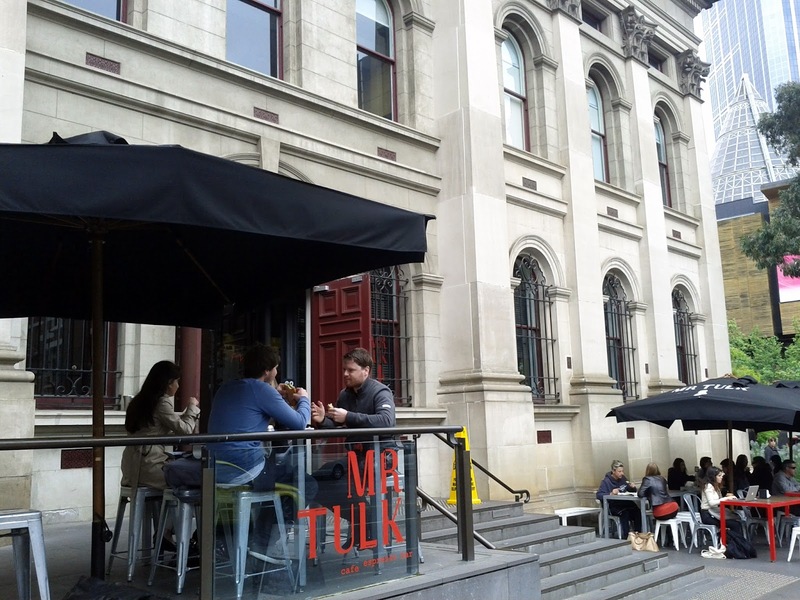 Situated in the imposing State Library of Victoria, Mr Tulk Cafe is apparently named after the first Librarian. 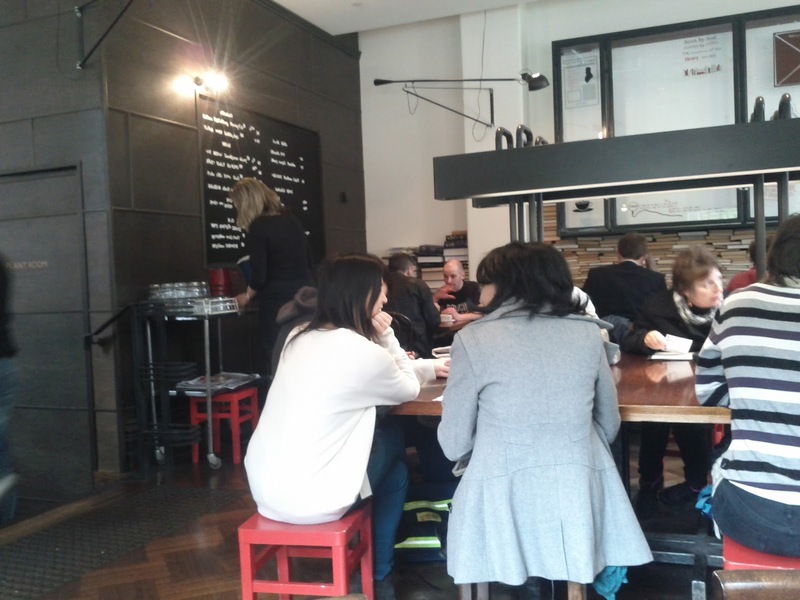 On a spring Friday lunch time visit lots of the tables outside were busy. Inside the decor was library themed. After a brief wait we were shown to a table and given a menu featuring a few breakfast items, sandwiches and some hot dishes. 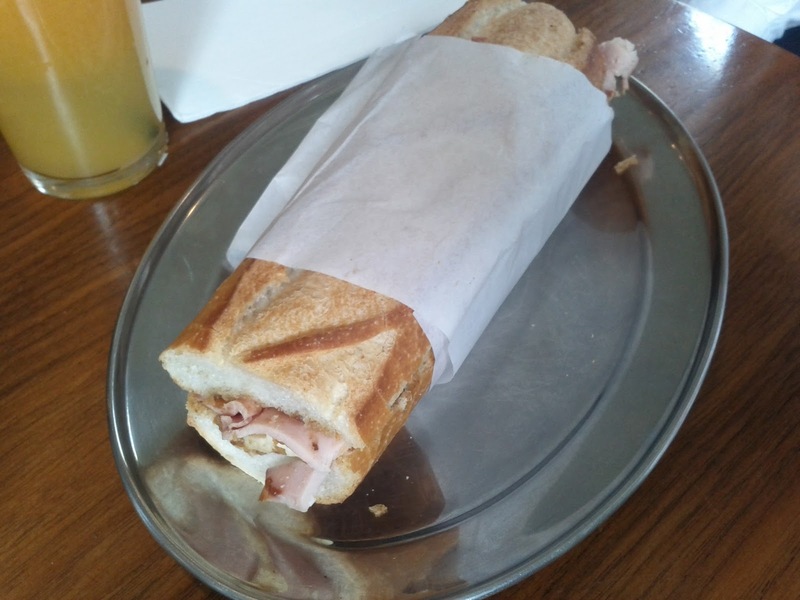 Trem had a basic but authentically French looking ham baguette. 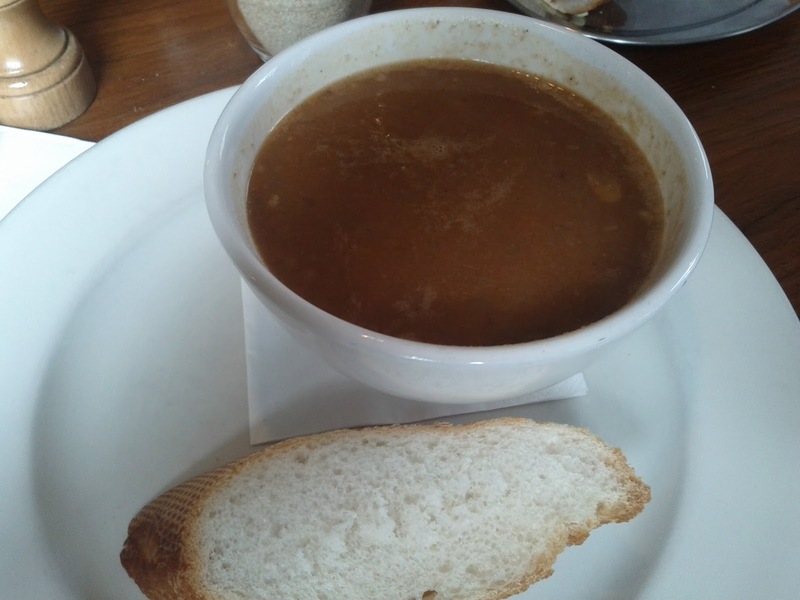 I went for the soup of the day, chorizo, roasted tomato and bean, which was flavoursome and satisfying and more exciting than the photo makes it look!